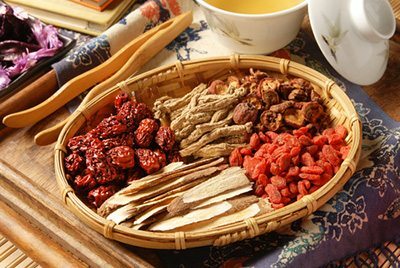 The Chinese Herbal Studies program is a 27-month program offering students the opportunity to add a powerful, ancient and highly effective treatment modality to their healing repertoire. Our program is based in the Eight Principle/Zang Fu diagnosis and treatment models that are foundational for Chinese herbal studies. Study of Chinese herbal medicine in conjunction with Five Element acupuncture enhances the practitioner’s ability to treat patients on all levels of the body, mind and spirit. Students who graduate from the program will be awarded a Certificate in Chinese Herbal Studies and are qualified to sit for the NCCAOM exam in Chinese Herbology. Effective October 1, 2014, the Chinese Herbology module of the NCCAOM national exam is a requirement for licensure in Florida. For the complete list of current course offerings, please download our catalog. The Academy’s program in Chinese Herbal Studies is separate from the Master of Acupuncture program, but is designed to be taken concurrently. The majority of our acupuncture students also enroll in the Chinese Herbal Studies program in order to integrate the Eight Principles and the Five Elements effectively in treatment and to qualify for licensure in many states. Interested students should check their state licensing regulations to see if herbal training is required for licensure. Students seeking to enroll in only the Chinese Herbal Studies program must already be students of an accredited acupuncture or Oriental medicine program, or graduates of an accredited acupuncture or Oriental medicine program. For specific requirements, please click on Admissions Requirements, or download our catalog.